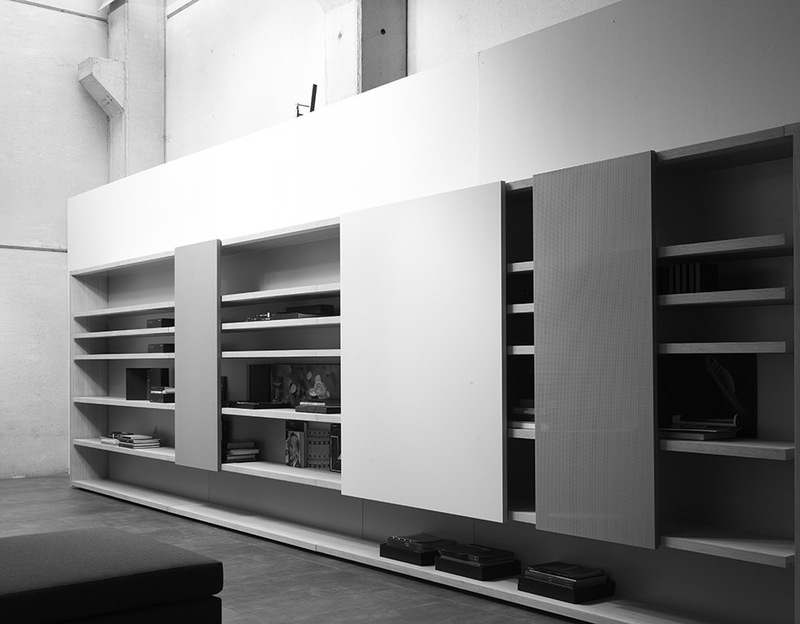 SPI is a shelving system offering lightness and horizontality. It has no visible supports and can be as long as one wishes. It can be purchased in whatever size one wants according to one's needs. The hanging panels can be lined up to cover the desired area. This shelving system can withstand 60kgs per metre. To keep the books upright, metal elements fitted with magnets are placed wherever one wishes. None of the supports are visible to the eye. The upright panels/doors are equipped with mini perforations and absorbent acoustic material to improve the sound environment in the workplace.